Great day in the morning! Welcome to our new blog! We hope you are here to learn more about how you can get involved in sustainable farming or to see what we have been up to at Great Day Gardens. 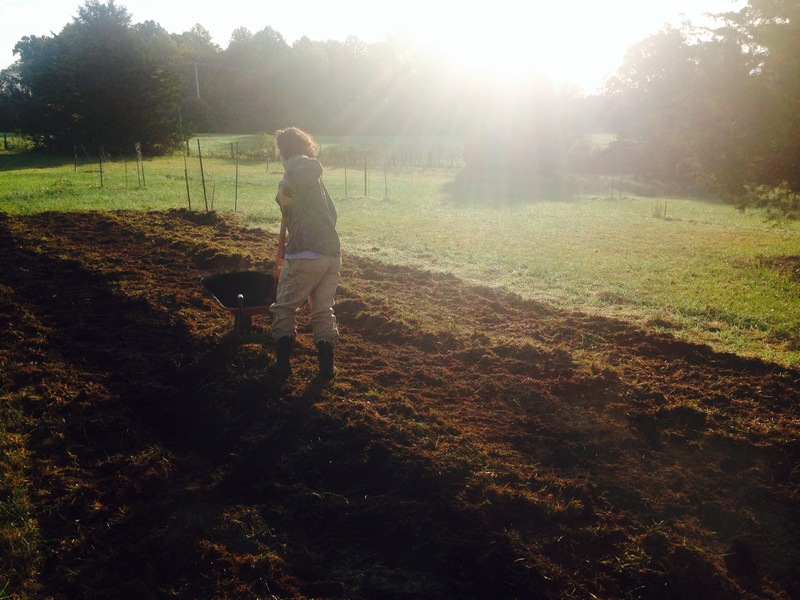 It is almost November, and we are gearing up for our first growing season in the spring. There is much to do! You can stay in the loop by checking this blog, or by getting on our email list by emailing greatdaygardens@gmail.com. We would love to hear from you! Arden is spreading compost on newly cover-cropped beds to condition the soil for next year. Michael plants tree seeds in a raised bed. 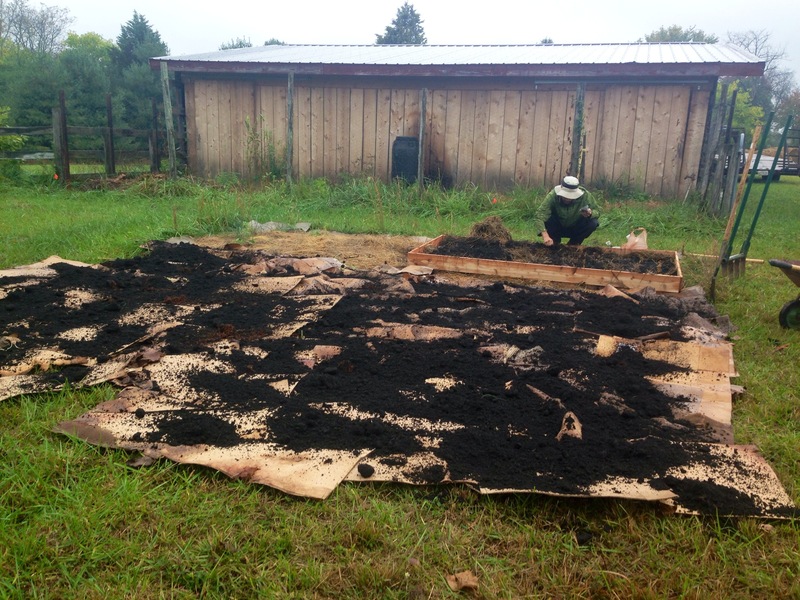 In front of him is an area that we are sheet-mulching with cardboard to suppress the grass and add organic matter to the soil. 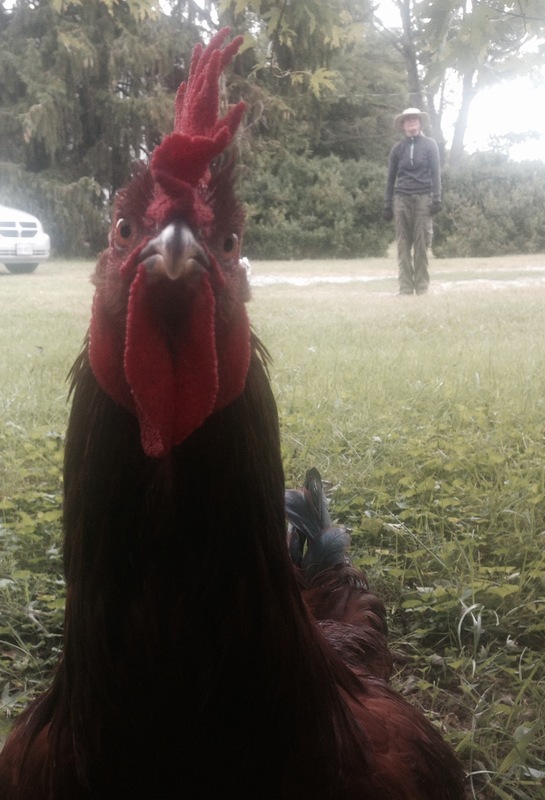 Rubio the rooster poses for the camera.